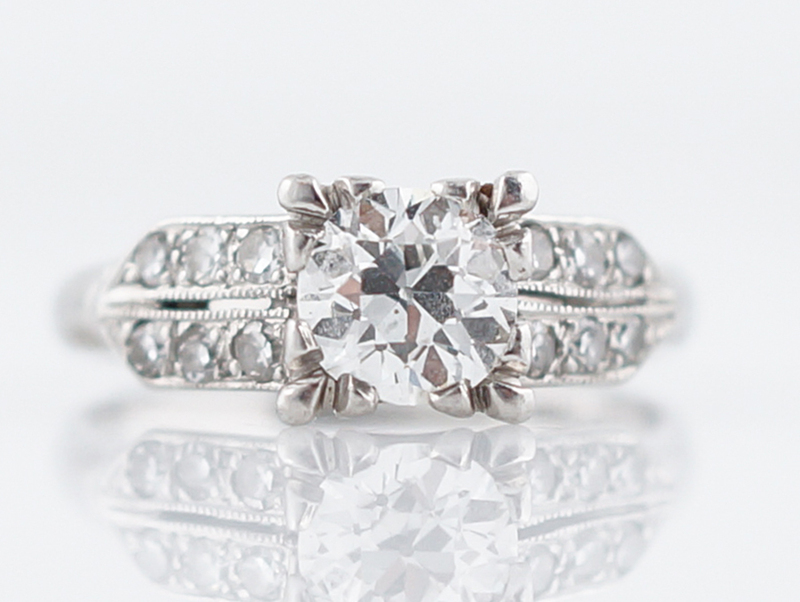 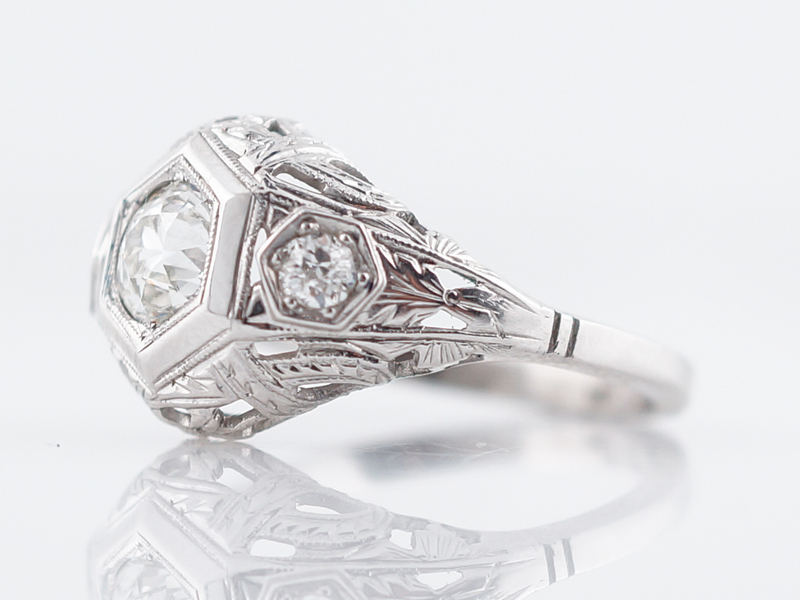 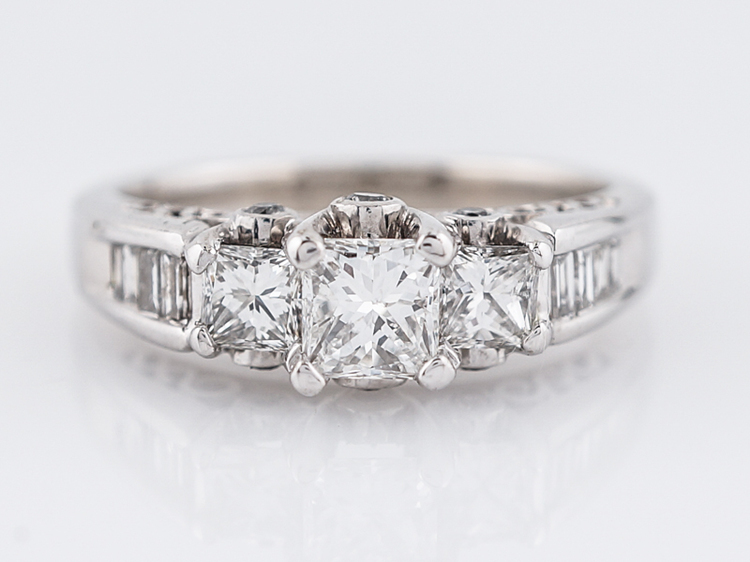 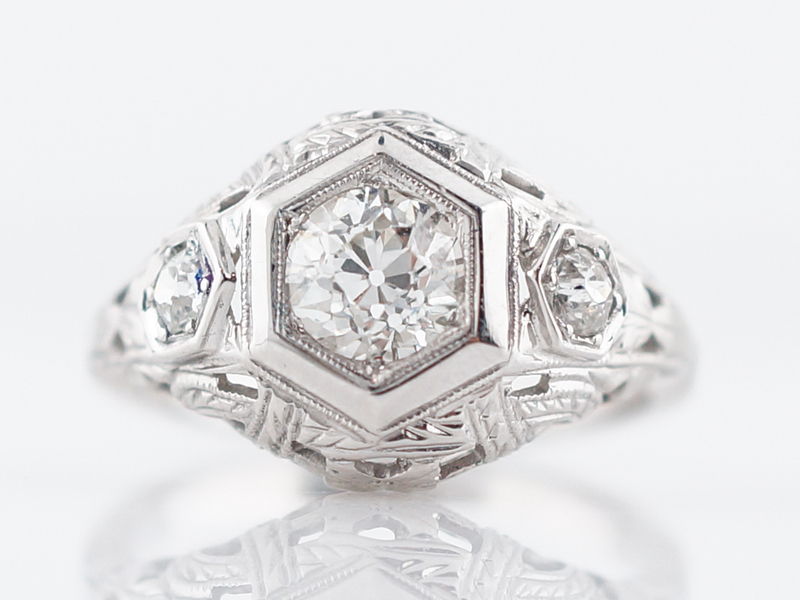 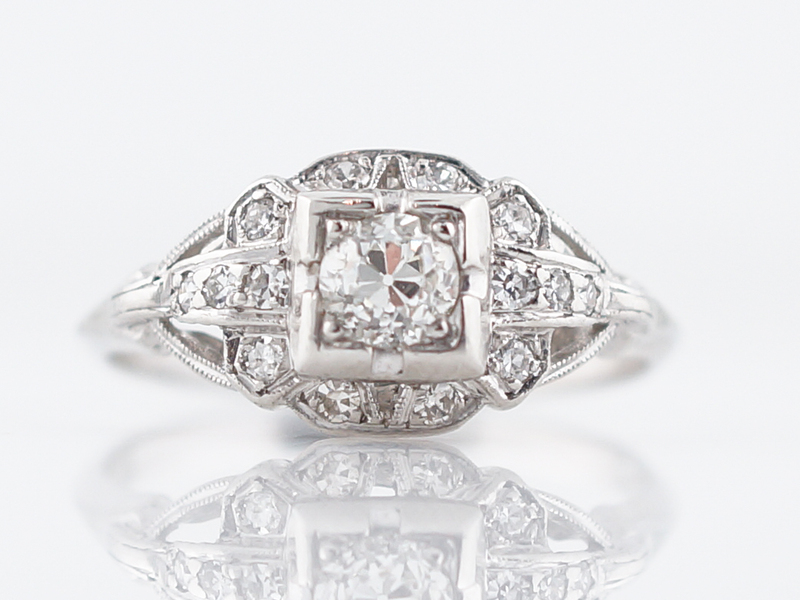 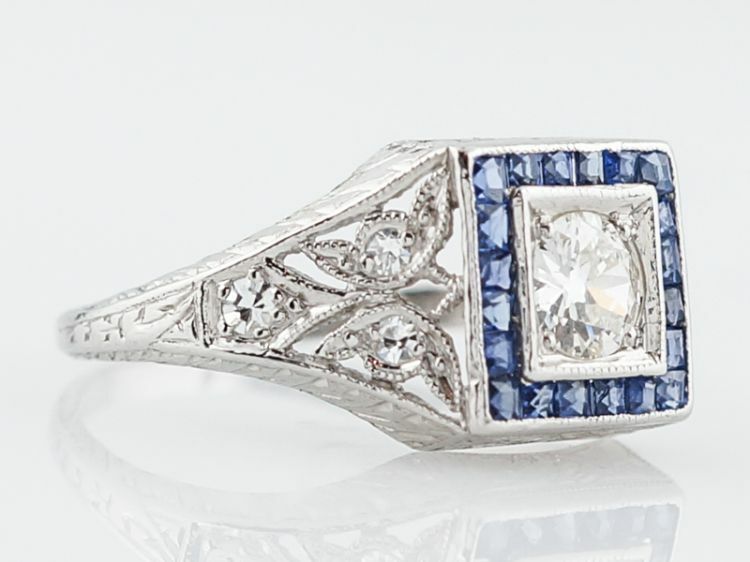 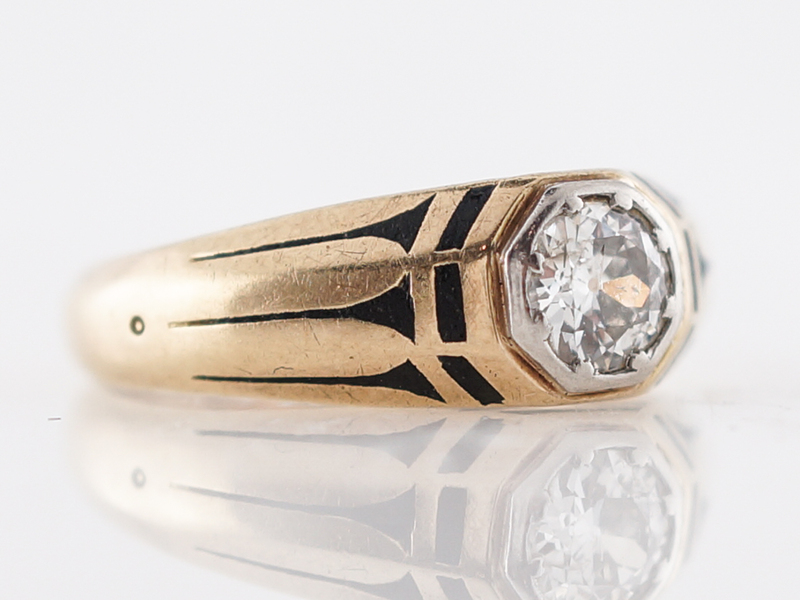 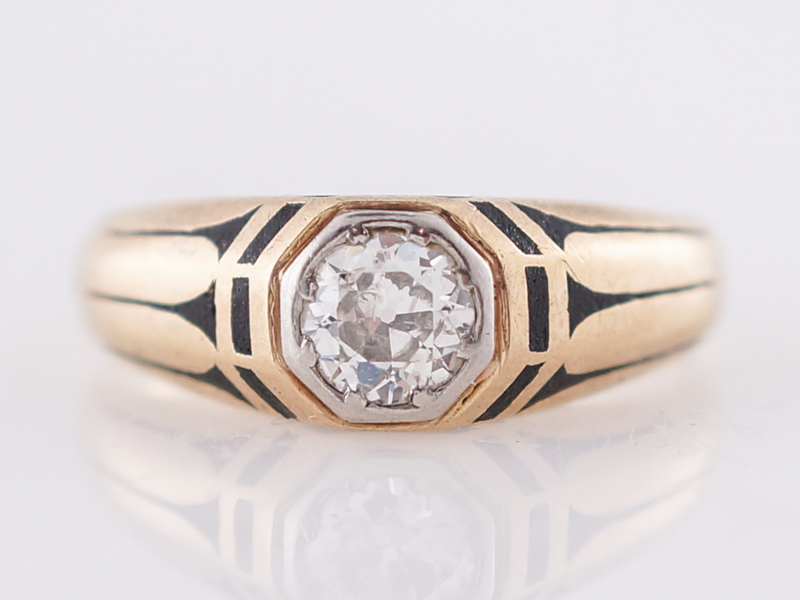 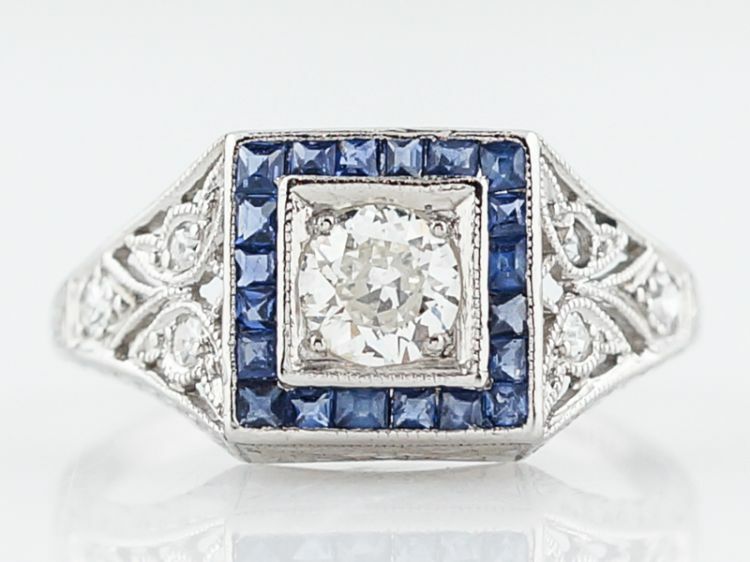 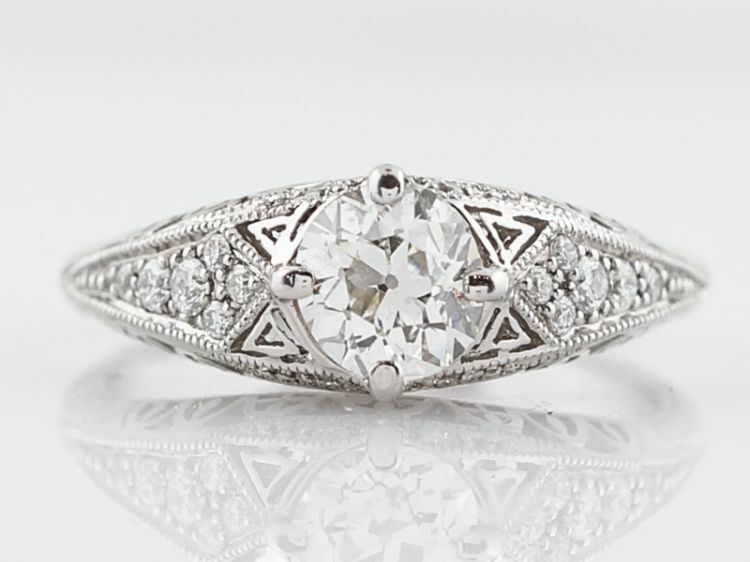 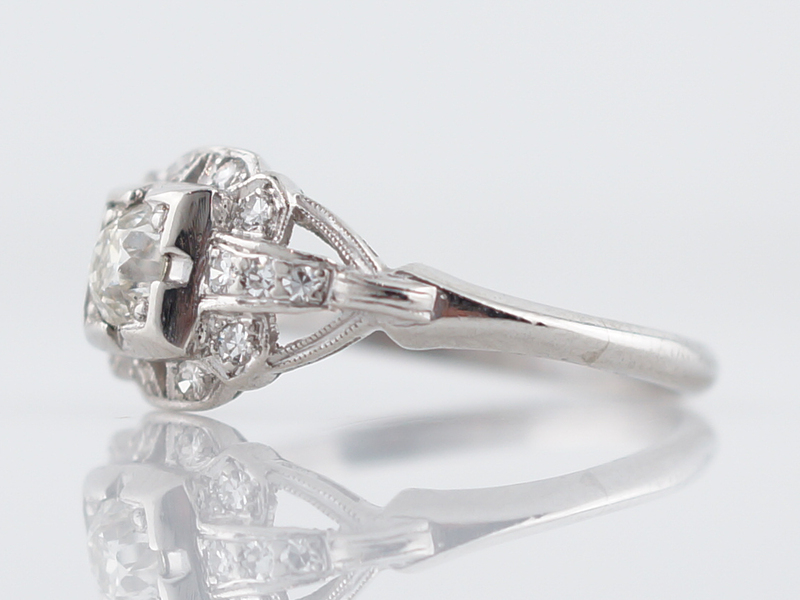 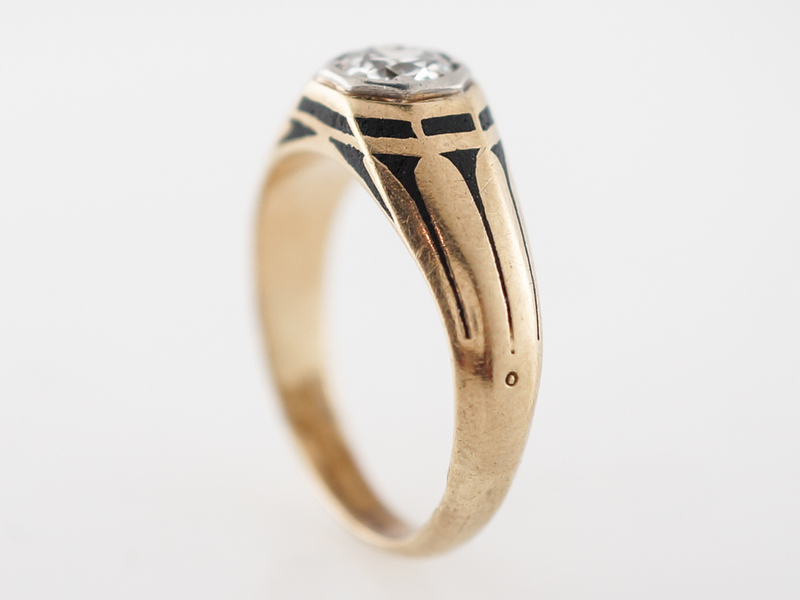 There are so many wonderful qualities featured in this vintage victorian ring. 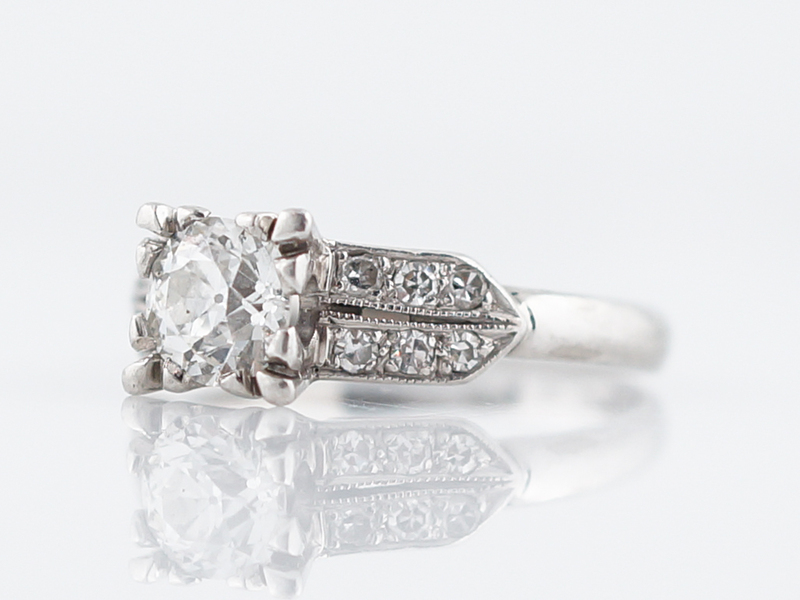 The .50 carat bezel set old european cut diamond rests almost flush within the mounting creating a sleek and low profile. 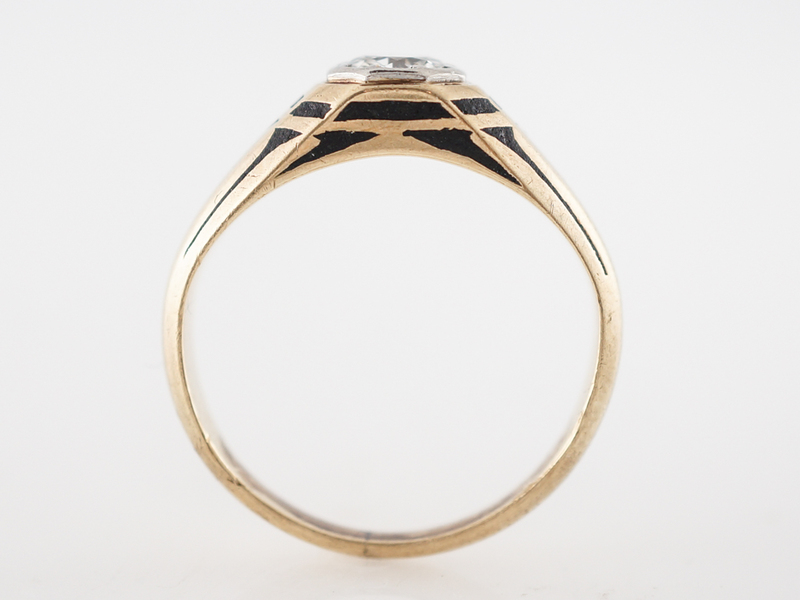 The ring is composed of 14k yellow gold and decorated with black enamel, adding a striking contrast. 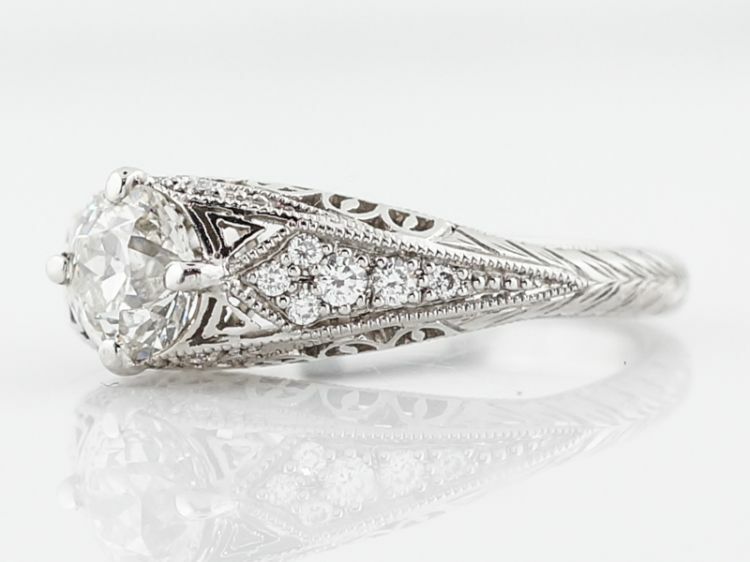 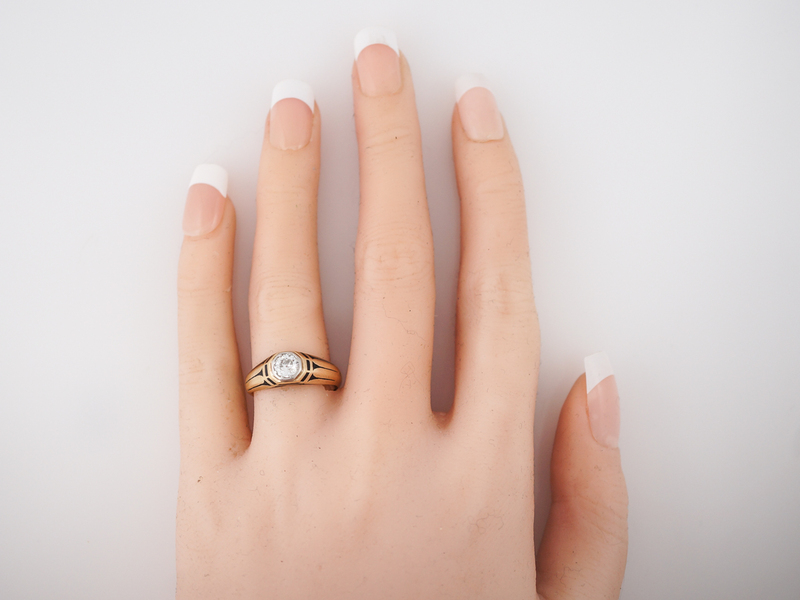 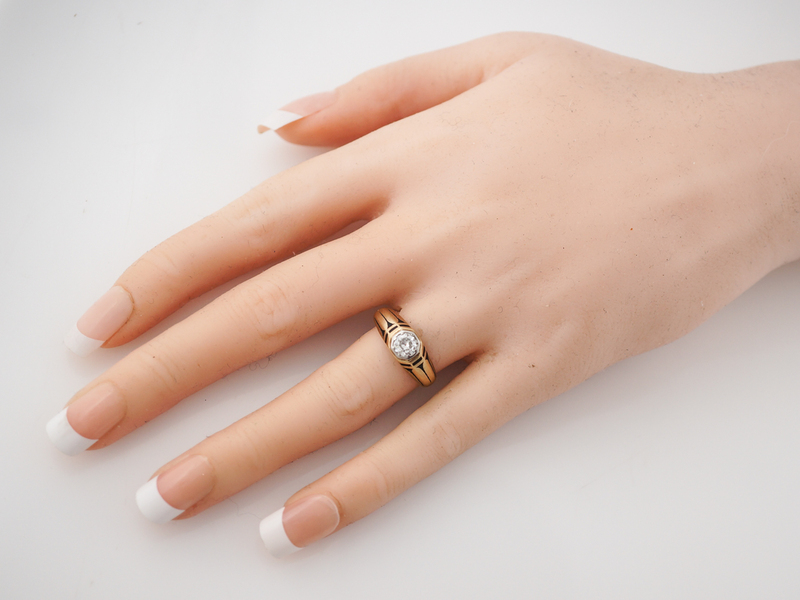 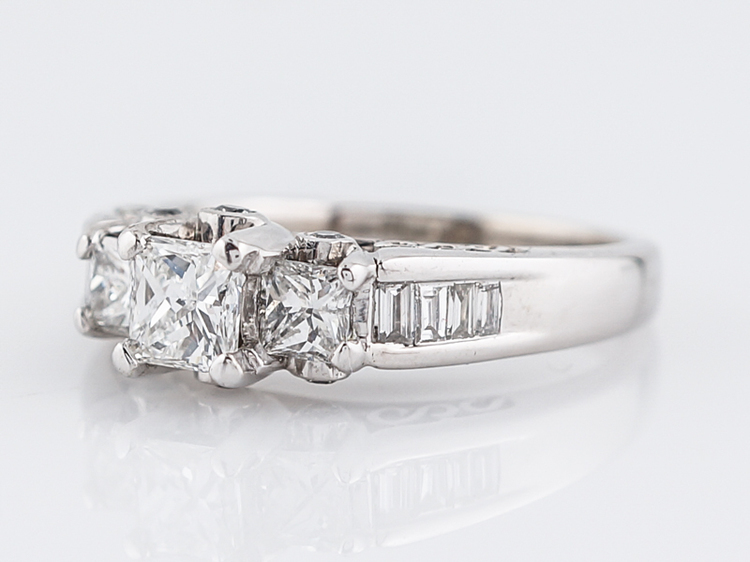 The gentle tapering of the ring shank is smooth and elegant. 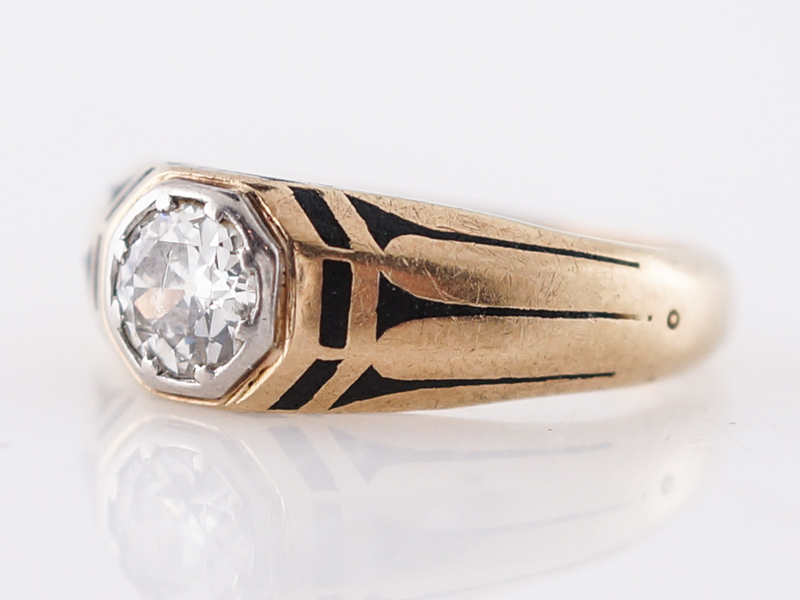 This ring would work both as a unique engagement ring or as a right hand ring.